US based Uber has also started to venture into the suburbs, whose market is currently held by Indian based companies like Fast track, NTL call taxis. It is notable that already their city market for these companies has been eroded gradually over the last few years. For instance in Chennai they have started operating more cabs in the suburbs like Manali, redhills in the north upto thiruporur in the south by making a large section of population of the city which has made a large section of people switch to their mode of transport for reaching their IT corridors and colleges. Uber has also started to expand mark ably into Coimbatore which is their only non-metro city in the state. However its competitor Bangalore based OLA Company is now one year old in many non-metro cities in the states and has been noted to operate more cabs in the suburbs of the Chennai like avadi, Mahindra world city and ennore by which more population is benefited. The reason behind the slow expansion of Uber is said to be the strategy being followed by the marketing team of the company. They claim that they take ‘one-step’ at a time forward rather than ‘giant-leaps’ to ensure the supply is made only in the place where there is enough demand. 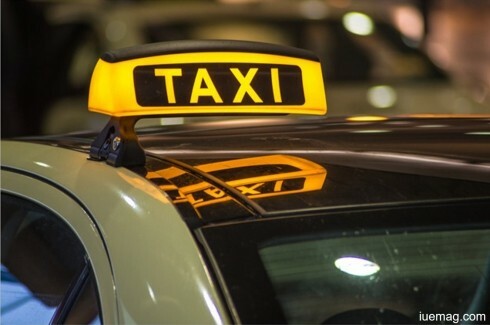 Constantly monitoring the application to find out how far it is been used to try to book a cab in a certain location and taking it forward by increasing the cabs in that sub-urban is a appreciable step towards resource utilization. Their strategy has helped to reduce the average arrival time of cab to the pick-up location to a great extent. This venture of the companies has paved way for increasing the employment by partnering with more suburb drivers to increase their cab numbers to meet the demand in that particular location. By enabling them to get paid more, the company has helped to improve the living standard which in turn helps in the country’s growth. This has led to many allied industries like automobile spare parts, automobile services etc.., also to grow in the suburbs in parallel. Owing to the huge amount of CO2 released into the atmosphere by the cars and other vehicles in the country specifically in Metro Cities, ‘Car Pool’ – if introduced and utilized by the majority of the population would be a boon for the entire human race. Office goers all over the country predominately in Metro cities have already started doing ‘Car pooling’ to make it more economical and viable through their office portals and other social networking. However if giant companies like Uber expand their business through ‘Car pool’ more people would be able to access the facility as it would be more reliable to be used even in unfamiliar location. ‘One-touch’ booking through app becomes more user-friendly. ‘Car Pool’ might also benefit people living in sub urban as the company venturing would find easy to provide cab for all through this service. Not all suburbs could be provided with individual cabs as there might be a hesitation for the drivers to drop a customer in a sub urban where he is likely to have lesser chance to gain a next trip back into the city. Car pooling would be a better option in that case. In spite of all these advantages Uber is finding difficult to implement it many countries due to the regulations prevalent. In U.S there is few strict regulations making the company to find it difficult to launch this service. There is restriction over the amount to be paid by the customer to the driver for a particular distance where the system is totally ignorant about the number of individual passengers being travelled. Consider that there is a rule that states that the driver has to charge only 50 cents per mile for his customer and he would be charged with a criminal case if he charges even one cent higher. Point made here is it would be economical and reasonable if he is allowed to charge about 70 cents per mile when he picks up three customers from three different locations – ‘isn’t that Car Pooling Ethics?. If each country is ready to provide small relaxations in the regulations prevalent currently, these services could be implemented easily turning millions of cars on the road into share cars and that would be our small contribution to reduce the alarming effects of global warming. UberCommute – It was a new service launched in 2015 in China which provides carpooling services for the people on their way to work to pick the passengers along through its Uber application. Due to regulation problem the company is finding it difficult to implement the same in the other countries. Anand Rajendran is a contributing writer at Inspiration Unlimited eMagazine.